This teacher will record your lessons, if you would like. Read more about how lesson recording works here. 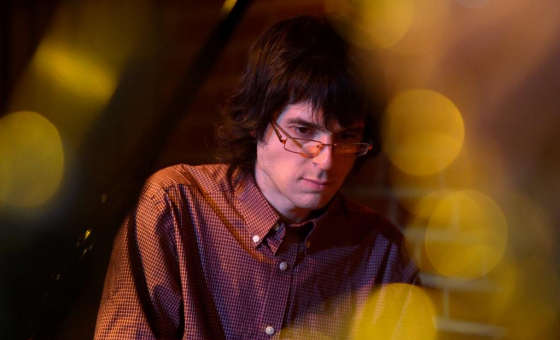 Jim Funnell is a jazz pianist/keyboardist and composer. He leads his own ensemble, with which he has released two albums (Word Out and Spirit of the Snail) and won the Composition Prize at the “Trophées du Sunside” in Paris. Jim also co-founded AfuriKo, a colorful and atypical African infused jazz duo, with percussionist Akiko Horii. The unit has produced two albums since 2014 (On the Far Side and Style), both of which were chosen to receive full funding from SACEM (French Society of Authors, Composers, and Music Publishers). Notable performances as a band leader/co-leader include venues and festivals such as Jazz Alley (Seoul), London Jazz Festival, Le Baiser Salé (Paris), Rockwood Music Hall (New York City), Theater Vrijburcht (Amsterdam), JazzLab (Hamburg, Germany), Kathmandu Jazz Festival (Nepal), Kanazawa Jazz Street (Japan), Jazz en Touraine (France), and Malta Jazz Festival. As a sideman, Jim has also played and recorded with jazz vocalist Jade Choi, percussionist Marcelo Woloski (Snarky Puppy), saxophonist Philippe Lopes de Sa, singer-songwriter Benjamin de Roubaix, electro/nu-reggae artist Flox, and contemporary microtonal jazz-rock guitarist David Fiuczynski. In addition to music, literature, and art, Jim is into nature, languages, anthropology and all things human, shamanism, Taoism, Zen, qigong, jogging, and wholesome food! Do you want to learn about jazz piano, improvisation, harmony, composition, arranging, and be able to sit in at a jam session anywhere in New York City or in your hometown? Be admitted to a jazz school or music college? Build a solid repertoire, become proficient at playing standards, write tunes, and maybe put your own band together or feel comfortable joining an existing outfit? I’m thankful that I’ve had the opportunity to go through all of these exciting steps in the life of a musician myself, and I’m definitely looking forward to sharing this experience with you. I began to learn jazz piano in Paris (France) as a teenager, and later attended Berklee College of Music in Boston on a full tuition scholarship. I recently moved to New York City to continue to grow as an artist in this utterly inspiring metropolis, full of talent and creativity. and finally writers and computer musicians committed to improving in the areas of jazz harmony, arranging, composition, improvisation, and enthusiastic about incorporating these techniques into their productions. In addition to the actual lessons, make sure to check out these posts regularly for tips, ideas, transcriptions, analyses, and in depth study of intriguing jazz topics that will help you walk in the masters’ Footprints and make Giant Steps towards your Freedom Jazz Dance! The repertoire studied during the lessons can be as vast as jazz is diverse. I curate a playlist on Spotify you can dig into entitled “FunJazz Piano Lessons: Essential Jazz," which is a selection of standards, jazz tunes, Latin tunes, rhythm changes, blues, and ballads performed by a wealth of diverse musicians, and covering a wide range of styles and eras. In fact, exploitable melodic, harmonic, and rhythmic elements for the purpose of these lessons can be drawn from most music, within and beyond the scope of jazz… I’m therefore open to – and encourage – students’ suggestions: practicing a piece one actually knows and enjoys can be a strong motivational factor and often enhances the learning experience. Great teacher. I’m am going to learn allot from Jim. Jim is fantastic. I was self taught for a while and my progress was stalling. Under Jim, I feel progress every week and practicing is much more fun again.